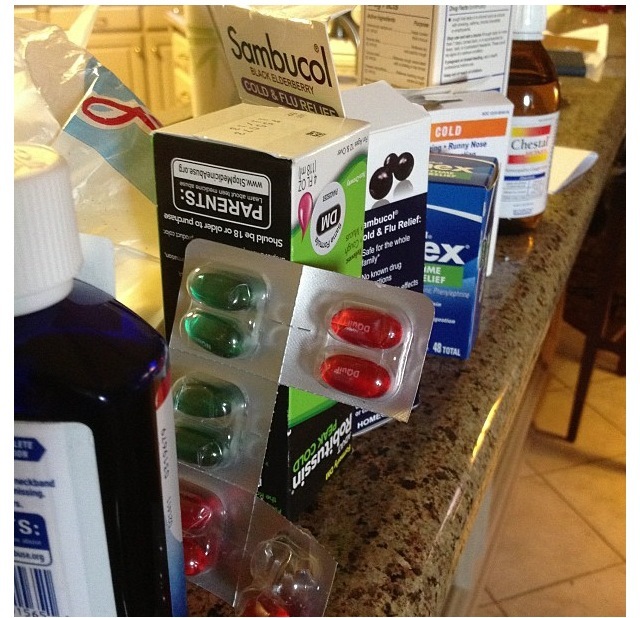 This is my mother’s arsenal and hubby went to the doctors today and found out he has Bronchitis. I really hope that I remain healthy this week – its definitely going to be tough. As if insomnia wasn’t bad enough, thanks to Hubby’s lungs – the snoring is definitely keeping me up. Its hilarious when my husband is sick because my husband is very dramatic when he is healthy — it gets worse when he is sick. I watched Bachelor 17 last night..
Not that I will be an avid watcher and try to guess who he may propose to by the end of the season or give you a run down each week, but those chicks – man I tell you – he definitely had to weed through some CRAZY sick chicks last night. I wish you the best Shawn. Did you know his sister is a blogger ?? Loved him since the Bachelorette season and her blog helped me like him all the more..